Dogs may not be allowed in the formal gardens at Trelissick, the National Trust estate near Truro, but there are wonderful walks around the open fields and woodland overlooking the Fal estuary. You can also buy dog treats from the kiosk in the car park and get water and treats in the cafe here. From the car park take the right hand path as you face the gardens over the cattle grid and into the fields which slope down to the river. From here follow the fields down the hill to the left and you will soon come to the water’s edge. It is a beautiful place to stop here, but if you wish to continue there is a path to the left through the gate to the woodland path. Follow this path for another mile and it will take you to the road just above the slipway to the King Harry Ferry. From here you can follow the road back up the hill a short distance to the car park, or cross the road and continue along the woodland walk. 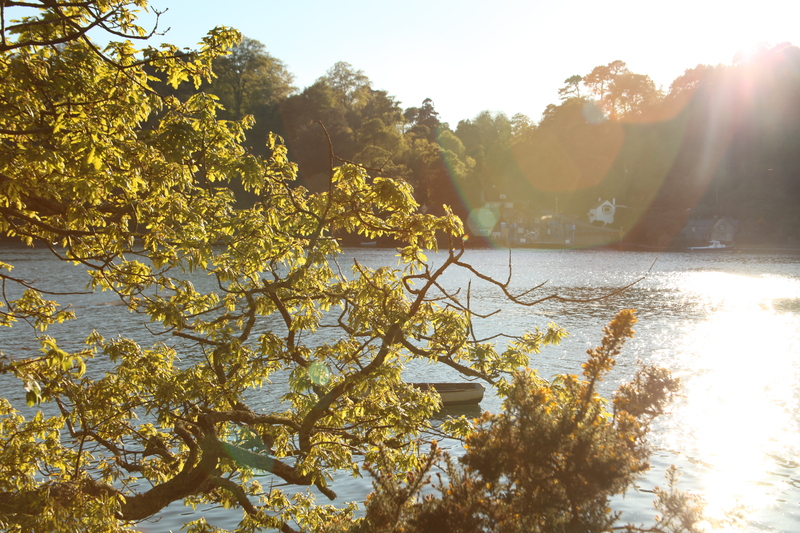 This part of the walk is beautiful, taking you along the tranquil wooded creeks that curl around Trelissick. after another mile, the road forks left, up the hill, or you can continue on across a small bridge and through the woods to Roundwood Quay. Take the path up the hill and you will wind around back to the road. Cross over and turn left at the path just beyond the cottage. continue across the next field and you will find yourself back at the starting point. This walk is about three miles and takes around an hour and a half.